Some people believe servant leadership is about being nice. However, if you seek to influence or lead others, regardless of your place in the organizational chart, you know leadership is often far from pleasant. Sometimes you have to communicate difficult news, give a peer tough feedback, deliver a mediocre performance review to a direct report, or recommend a long-term employee be let go because of consistent poor performance. Leadership often requires you to have the courage, discipline and fortitude to do the right thing — and it requires you to remain true to your own moral compass of what the right thing is. The right thing is often focused on the greater good, the success of the organization. When the organization succeeds, people succeed, people’s livelihoods are sustained, and the benefits ripple out to their families and communities. The task of being an authentic servant leader requires you to know yourself — your history, your life stories and how they shaped your development as a leader. It means knowing your character, what you stand for and your values — and it’s a life-long process. It is the exploration of your creative expression in life. It is your life’s work and the hardest work you will ever do. Now there are leaders who believe being authentic is being unrestrained about any or all emotions they are experiencing. To them, being “real” is “telling it like it is,” and they want the people around them to accept them as they are. “What you see is what you get.” Unwilling to do the necessary and personal work on themselves, they allow themselves to express angry, rude and demeaning behaviors that can have devastating effects on the people around them. Yet there are many leaders who have had the insight that they need to work on actively managing their emotions, and when they slip, they have owned their behaviors and apologized to those affected. That is transparency with positive results. Such leaders are role models of the hard work and discipline it takes to transform oneself, one’s character. Wonder just how transparent you must be with those you lead? 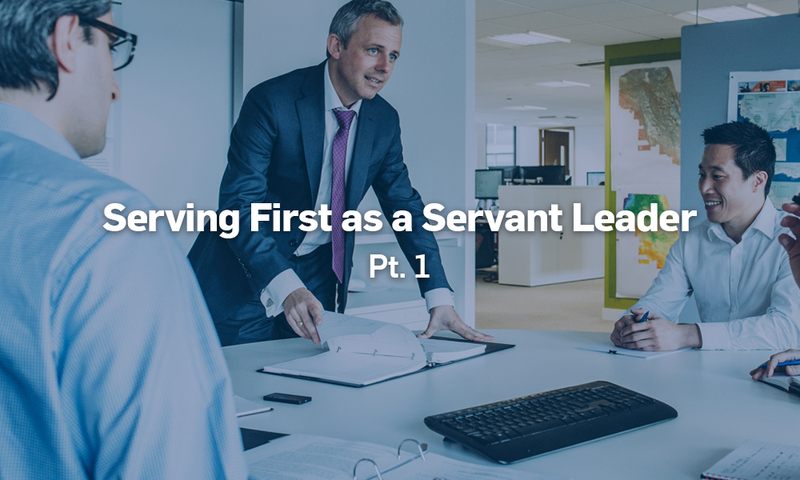 Visit our blog next week for Part 2 of Serving First as a Servant Leader.